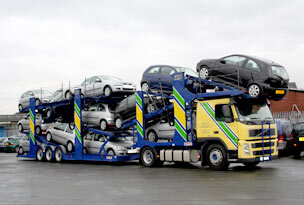 If it is a vehicle that needs moving in the UK then contact us at J&P Vehicle Deliveries. Our fleet has the capacity to transport up to the maximum load of 12 vehicles per transporter to anywhere in the UK within a matter of hours. You name the vehicle and we will deliver it. We pride ourselves on having the capability to adapt our service to meet the requirements of each individual customer. Our drivers are fully trained in relation to hand over procedures and if your company requires it, we can tailor each hand over procedure to incorporate your request. We employ the latest digital technology throughout our company, which is supported by our dedicated and informative customer support team. These two combined ensure our customers receive the most efficient service available within the vehicle transportation industry. If you have a vehicle that is required for delivery, choose J&P Vehicle Deliveries, the professional and cost effective delivery company that offers the personal touch, establishing business relationships for years to come. At J&P Vehicle Deliveries we have recently invested in the latest digital technology to ensure we offer our customers the most efficient service available within the industry. 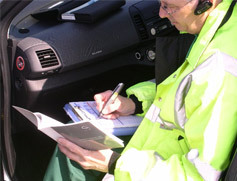 Each of our drivers is equipped with a digital pen, phone and appraisal form. This technology means that an appraisal can be viewed by our office within a matter of minutes of the vehicle being collected or delivered. This allows us to provide 'you', the customer, with the maximum information available ­ whilst your vehicle is in transit with J&P Vehicle Deliveries. Furthermore, we have the capabilities to constantly monitor the progress of your vehicle(s) through our digital mapping facility. Each vehicle within our fleet is installed with a tracking device which allows us to monitor the progress of your vehicle. This device provides maximum information available to inform our customer service team and our customers. 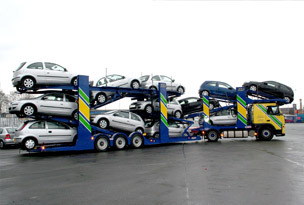 We at J&P Vehicle Deliveries are committed to training and development. This is because we demand the highest level of service throughout our company. We are constantly looking for ways to develop our personnel further. Our drivers are renowned for the professional and personal manner in which they deal with our customers. Each of our drivers views themselves as an ambassador of not only our company, but also the company they are collecting or delivering on behalf of. 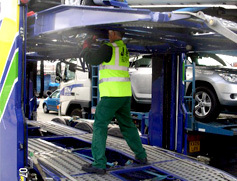 Employees at J&P Vehicle Deliveries are BVRLA trained in vehicle appraisals and also in handover procedures. Our commitment to training and development is a commitment to our customers.